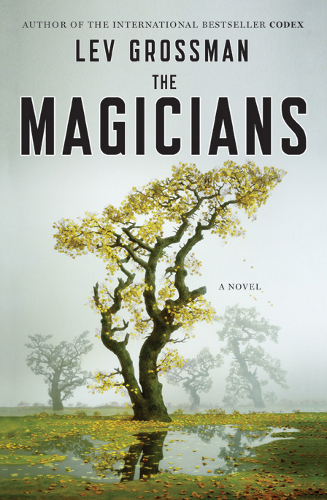 Mixing the magic of beloved children’s fantasy classics with the excess, angst, and anticlimax of life in college and beyond, Magicians is a modern-day fantasy for adults. Quentin Coldwater lives in a state of perpetual melancholy, privately obsessed with his childhood books about the enchanted land of Fillory. When he’s admitted to the secret Brakebills Academy for an education in magic, Quentin finds mastering spells is tedious. He also discovers his power has thrilling potential–though it’s unclear what he should do with it once he’s moved with his new magician friends to New York City. Then they discover the magical land of Fillory is real and launch an expedition to use their powers to set things right in the kingdom–which, naturally, turns out to be a much murkier proposition than expected. The Magicians does what Quentin claims books never really manage to do: “get you out, really out, of where you were and into somewhere better. ” Or if not better, at least a heck of a lot more interesting.